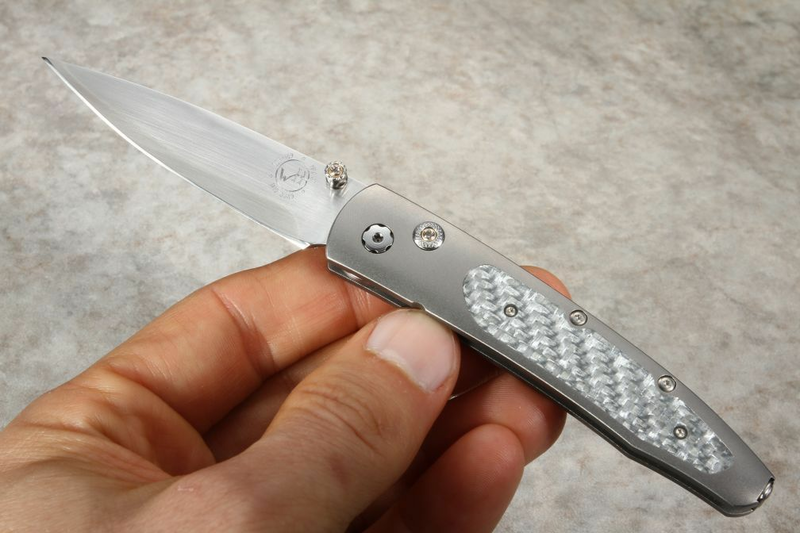 The William Henry B10 Argent has a classic combination of elegant silver twill pattern G-10, stainless ZDP-189 blade, and titanium handle frame. 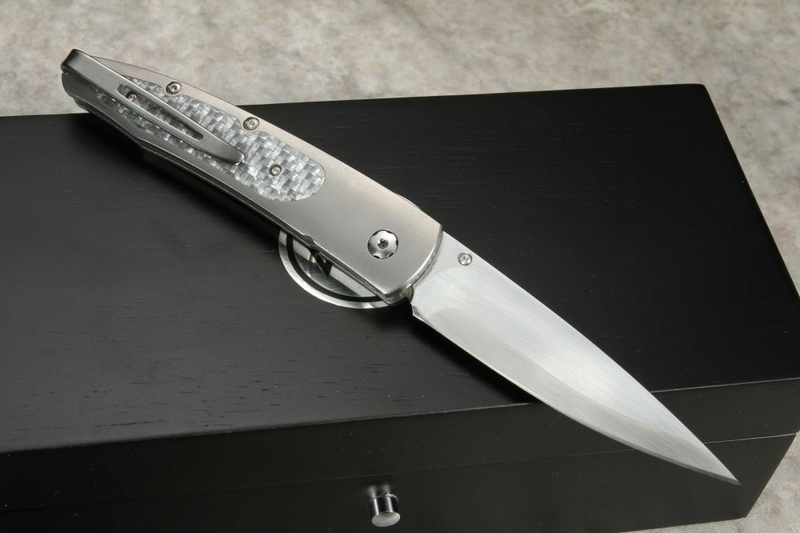 The B10 Argent is a limited edition high-end knife of only 100 individually numbered knives. The blade on this knife is 2.63" long with a deep hollow ground blade. 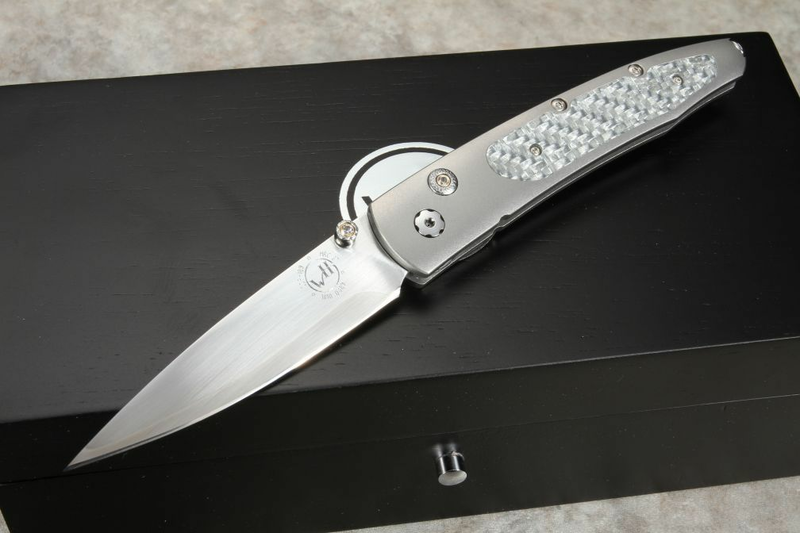 The stainless steel blade has a ZDP-189 core that is as sharp as it is beautiful. The blade smoothly opens one-handed thanks to the white topaz gemstone inlaid thumb lug. 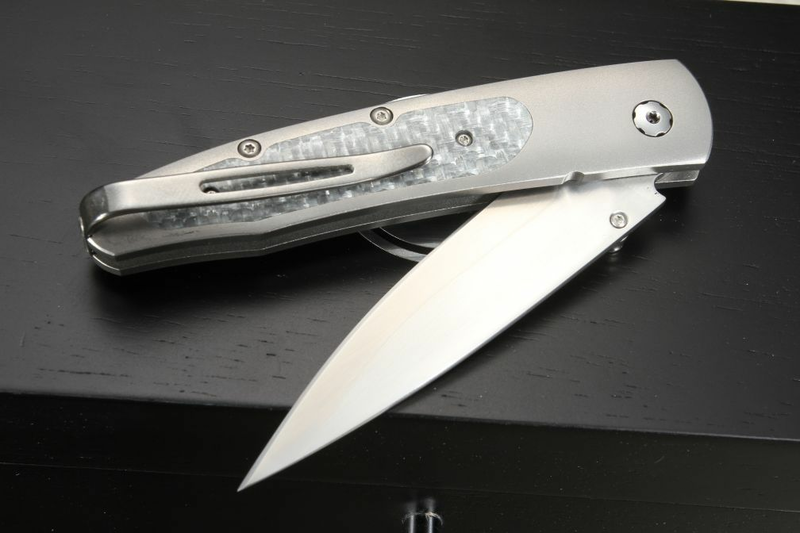 The B10 folding knife has an aerospace grade titanium handle that provides the user with a light yet extremely strong handle. 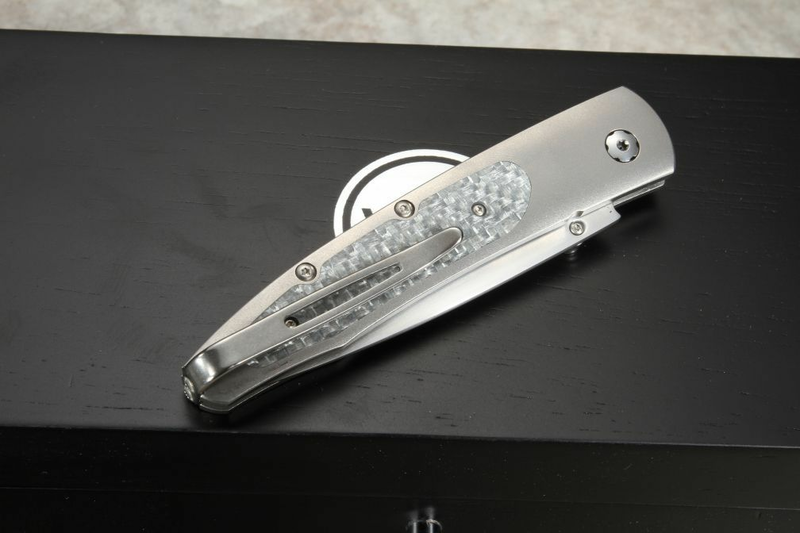 This William Henry Knife has blade tip up, mounted pocket clip for safe carry and easy access. A unique serial number is engraved into the blade and every knife includes a Certificate of Authenticity and wood presentation box. Feel free to purchase with confidence, we ship the same business day and are an Authorized William Henry dealer.